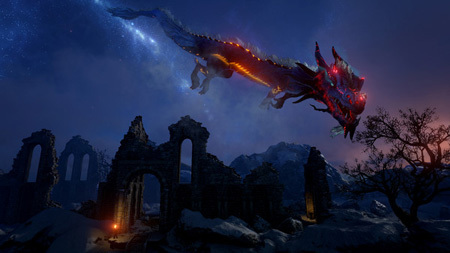 Dark and Light – Shard of Faith is a DLC of Dark and Light, the massively RPG from Snail Games USA. This expansion features Adventurers’ expedition to Ganareth’s Shard for the purpose of stopping the corruption that encroaches mother planet Gaia. Adventurers will uncover new power of mysterious Faith, and fight against the forces of darkness with the help of ancient God and deities. Shard of Faith provides a entirely new map: Garaneth’s Shard. With the cross scene and cross plane feature, it expands and supplements the larger universe of Dark and Light. As adventurers build up a relationship with these races, they will be able to model after the esteemed heroes amongst these races, and use their heroes’ abilities. A new magical taming system allows adventurers to tame and summon creatures with magical circle. If you get stuck in the game, check out the video walkthrough and gameplay for the game. This entry was posted in PC Games, Walkthrough and tagged Dark and Light - Shard of Faith Cheats, Dark and Light - Shard of Faith Game, Dark and Light - Shard of Faith Gameplay, Dark and Light - Shard of Faith Guide, Dark and Light - Shard of Faith Hints, Dark and Light - Shard of Faith Review, Dark and Light - Shard of Faith Solutions, Dark and Light - Shard of Faith Strategy, Dark and Light - Shard of Faith Tips, Dark and Light - Shard of Faith Walkthrough by Marvin. Bookmark the permalink.